I think as far as ethnic foods go, falafel is at the top of my list. So tasty and satisfying, the only bummer being that it's typically and traditionally fried, as most street foods are. 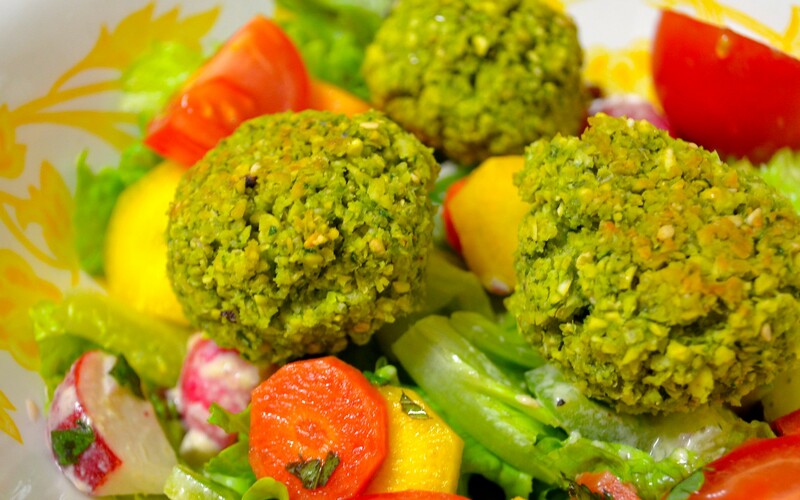 While that's not going to stop me from indulging every now and then, there has to be a way to make falafel a more accessible in the everyday. The only problem with taking foods that are traditionally fried and then not frying them means you tend to sacrifice the reason why said food is good in the first place. Oh, and that crispy texture we all know and love so well. 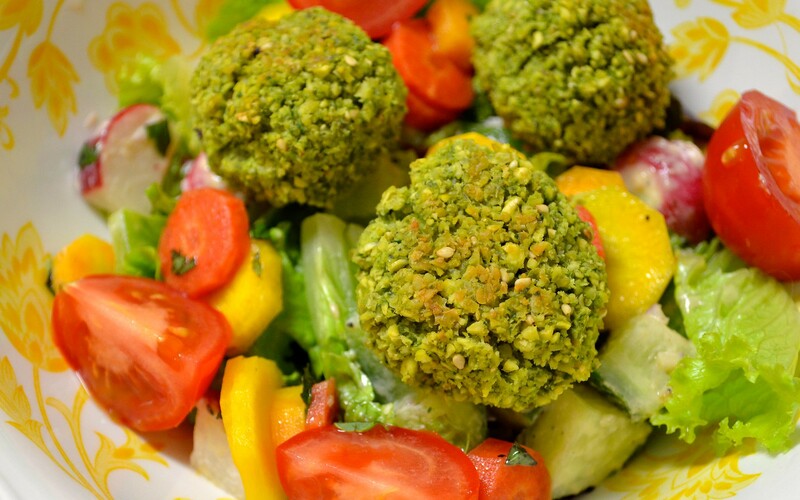 Well, enter this falafel recipe inspired by a favorite food blog, Cookie + Kate. Absolutely NO flavor or texture is sacrificed here, and I might even say that this falafel is among the best I've ever had. 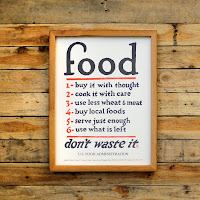 Including legit, Middle Eastern restaurants. Hear me out, though: these crispy chickpea patties are intensely flavorful, super easy and freeze beautifully for another night (that is, if any remain). So a decent amount of time before you want to get your falafel going, put your chickpeas into a pot or bowl and cover with water. It's best to give them about 2 hours to soak (even longer works, too), but 1 hour will work if you're pressed for time. 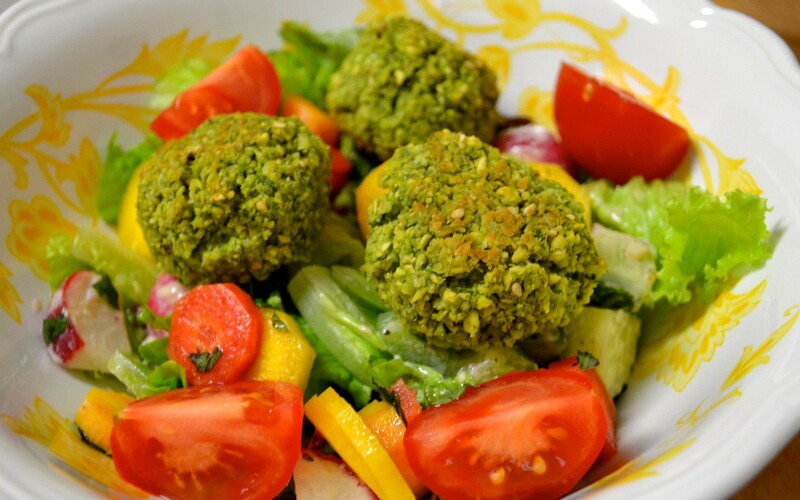 Don't substitute canned chickpeas here, as this will result in a soggy, non-falafel mess. Preheat your oven to 375 degrees. 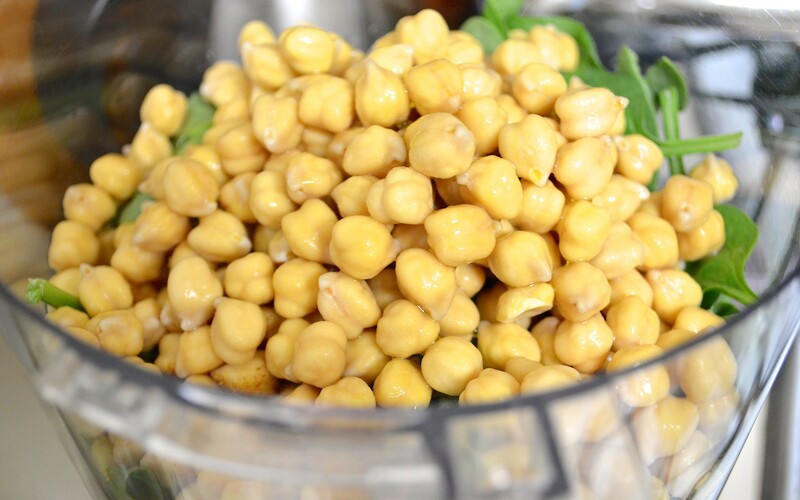 Once your chickpeas have been soaked, drain and rinse again. 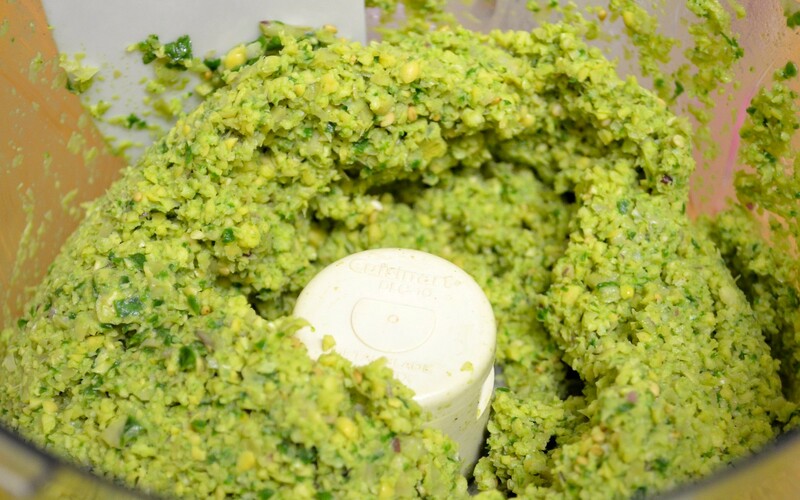 Transfer to a food processor along with your onion, spinach or kale and clove of garlic. Pulse until well blended and broken down. And 2 tablespoons of olive oil, your spices and sesame seeds and continue to pulse for another thirty seconds. Take a large cast iron skillet and generously coat with another 2 tablespoons of olive oil. (Kate suggests you can use even more if you're going for more a fried-effect, though I've found that 2 works just fine.) Using a tablespoon or small ice cream scoop, scoop out about 2 tablespoons work of your mixture and form into tight balls. This part is a little messy (but fun!) and a little tricky (but fun!) to keep together, but last time I checked, nobody was into crumbly falafel. 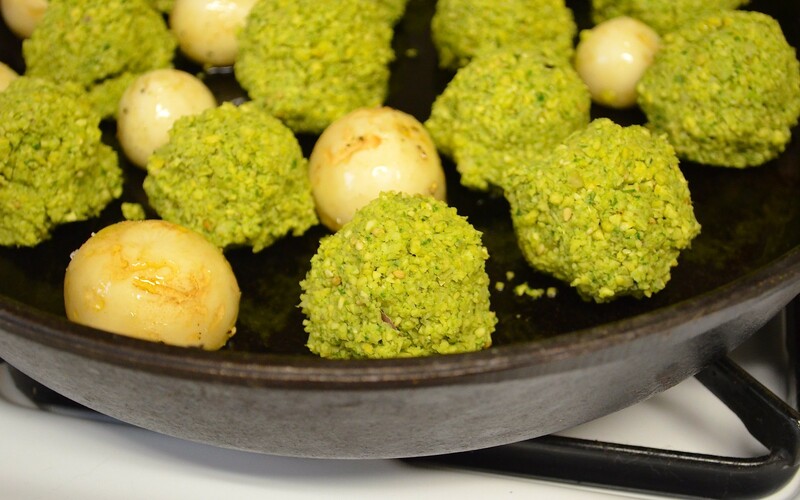 Repeat until you've used all of the mixture, should make about 12-14 falafels. Don't mind me, said the turnip, I'll just wedge myself in here with you guys. Transfer to the oven and bake for 15 minutes or until brown and crispy on the pan-side. Flip (caaarefully) and bake for another 15 minutes or until brown and crispy again.